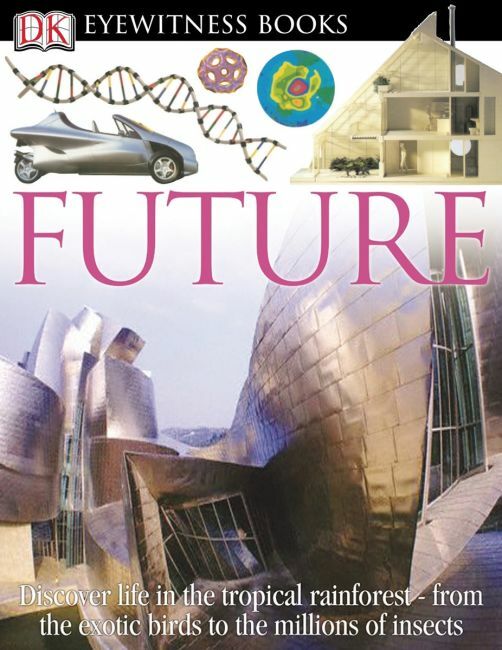 DK Eyewitness Books: Future is a spectacular and informative guide to the 21st century and beyond. Original photography and artworks illustrate the extraordinary visions of the future of scientists, artists and inventors through the ages, offering a unique "eyewitness" view of a world we are yet to know. See an insect robot learning to walk, a hypersonic plane, a calendar for the next century, a space hotel and a millennium tower that will house 50,000 people. Learn the way genetic engineering will affect future foods, how a spaceship will be driven by antimatter and how large the world's population will be in 2050. Discover how a woman can work a flight simulator with her mind, the medical advances that will prolong life, the cyberpets that will be the companions of the future, and much, much more!